Finches are tiny birds, so it can be easy to overlook them. However, these little beauties are among the most popular and widely kept types of pet birds in the world, so it's safe to say that there are many who prefer them to larger bird species like parrots and parakeets. If you'd like to learn more about these little birds, then take a look at the information listed below. You might just learn something about finches that you didn't know before! All parrots are classified as hookbills, so it would make sense to classify Finches as softbills -- at least, to some people it would! Calling Finches soft-billed birds is a controversial subject among many who are deeply involved in aviculture. Many contend that since Finches subsist on mainly seed, instead of insects and nectar, they should all be labeled as waxbills or hardbills. Still, others assert that since they are not hookbills, they are automatically softbills. This debate has been going on for many years, and for now, there doesn't seem to be an end in sight! All captive pet birds need some form of socialization in order to thrive in human homes, and for many species, that comes with forming a special bond with their human caretakers. Finches, however, prefer to do things a little bit differently. 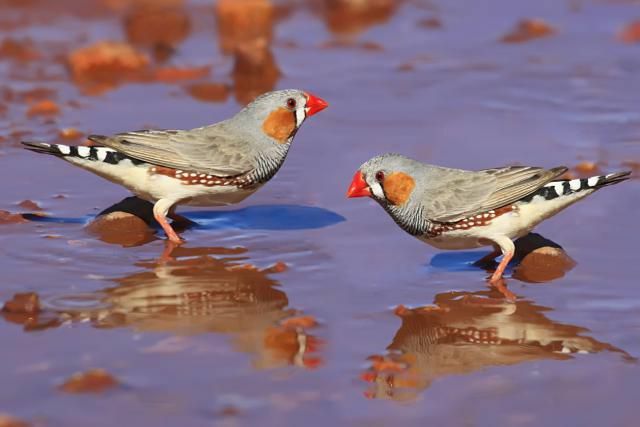 While there are exceptions to the rule, in general, finches largely prefer the company of other finches to that of a human companion. For this reason, it is normally recommended that they be kept in pairs or small flocks, as opposed to being kept singly. Birds who are kept alone with no means of companionship often become unhealthy and mentally and emotionally unstable. Unlike parrots, who should be handled every day, Finches tend to not do very well with human handling. While there are always exceptions, it is generally recommended that those who keep Finches touch them as little as possible, to avoid frightening the birds and causing them stress. While it is common for Finches to become accustomed to observing their human housemates from a distance, most of them never quite get comfortable enough to perch on a person's finger or be willingly handled in any way. For your Finch's health, keep handling limited to what is necessary for the bird's health and medical care. While there are many different types of small birds that are commonly kept as pets, Finches are among the smallest of them all! Most Finch species are less than 4 inches in length from the beak to the end of the tailfeathers and may weigh less than one ounce. Many would think that this should make them the perfect bird for small, cozy homes, but in actuality, a small flock of Finches may require an even bigger cage than some types of parrots! This is because Finches must be able to fly, so they need a spacious enclosure or flight cage that can allow them to soar and exercise their wings. While Finches vocalize as much or more as other types of commonly kept pet birds, they have tiny voices that do not carry as far as those of larger birds, like parrots. For this reason, Finches are a great choice for bird lovers who live in apartments or condominiums. 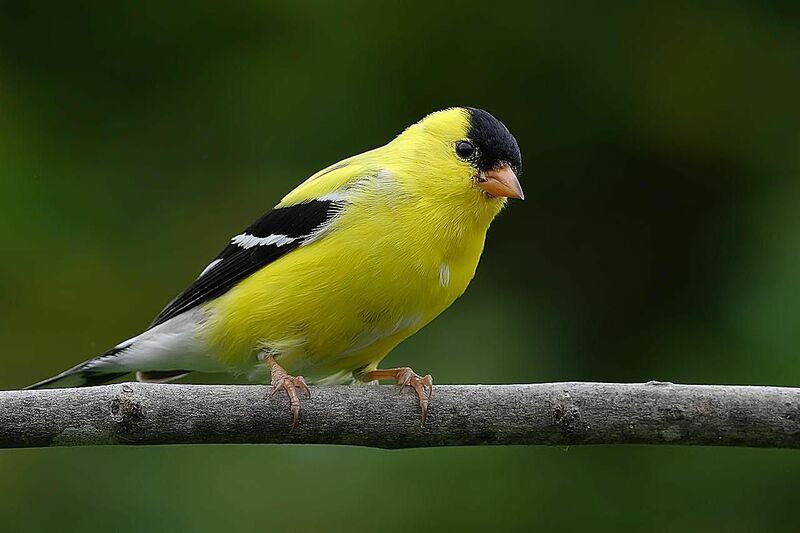 The pleasant chips of a small Finch flock can often not be heard outside of the room that the birds are housed in, but many who own Finches claim that their soft vocalizations are really quite soothing, and choose to spend as much time in the same room with their birds as possible.